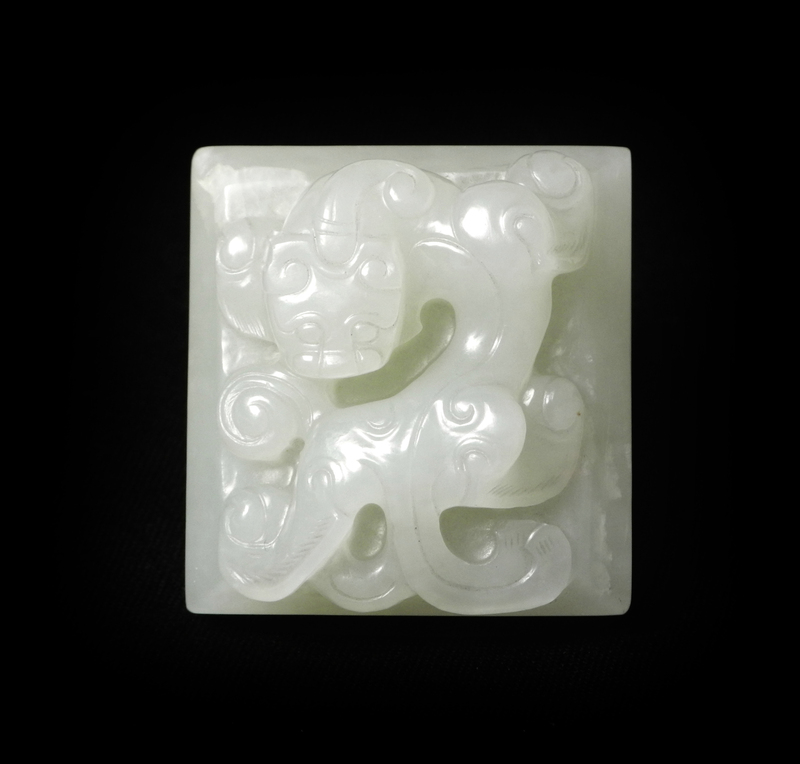 An exceptional Chinese carved jade seal, Qianlong period. 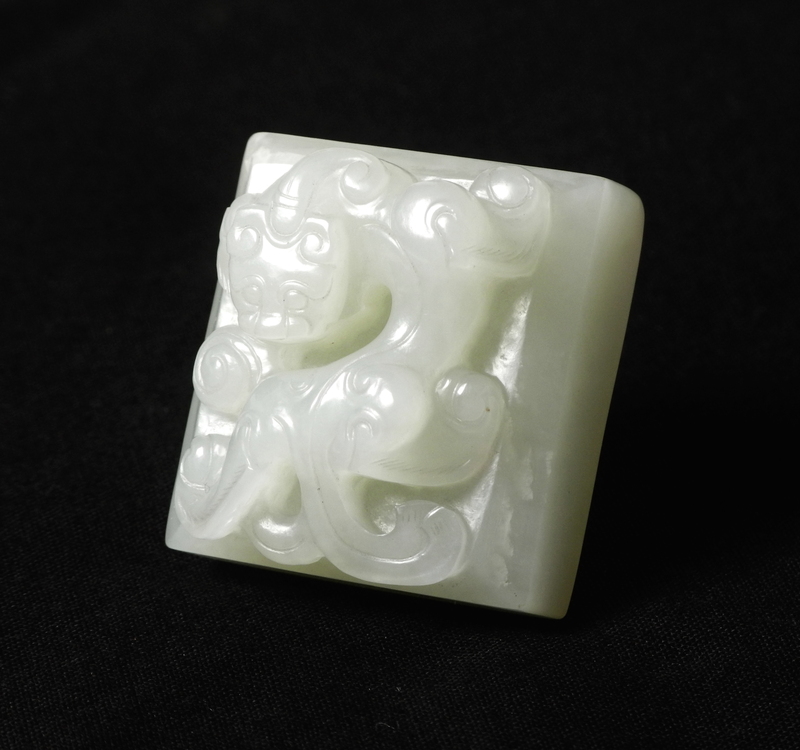 A fine quality Chinese carved jade uncut seal from the mid Qing dynasty, Qianlong period (1736-1795). Carved from a single piece of pale celadon jade with a crouching chilong, the underside uncut and polished flat.